New smaller size front fork air bleeder. Height is only 21mm, compact design. 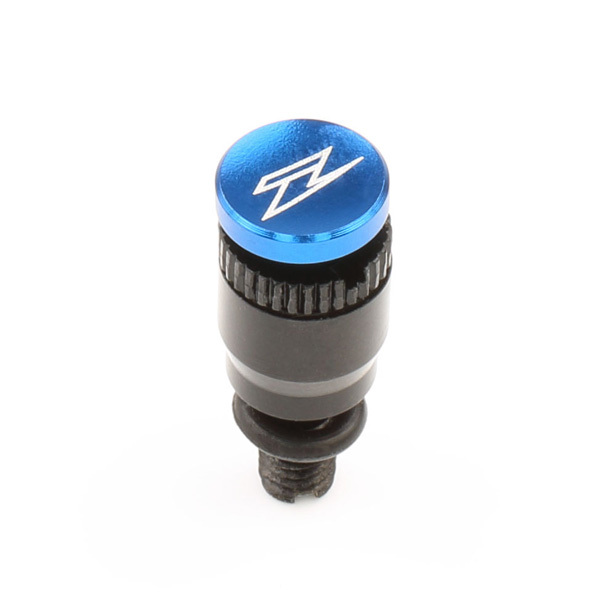 Black anodized body which comes with blue, red, orange or Husqvarna blue top.